The Progress Bar Design PowerPoint Diagram is a 4-stage process flow for common business presentations. This progress bar template can demonstrate development or growth for various tasks and activities. For example, key performance indicators, percentage of sales, time remaining to achieve goals and the progress of course taken. Hence, the bar design diagram in PowerPoint is usable as indicator, performance and improvement bar. 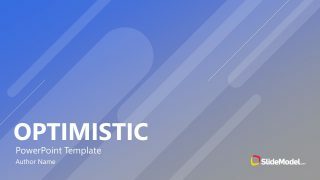 The template has amazing white and blue theme slides, providing a neat view of processes. This diagram, along with for callout boxes display position and direction of four steps. Also, these five slides display a variation in progress bar design to explain the complete, still performing and incomplete segments. For example, the first slide shows the simple tube and translucent lines to show the division. 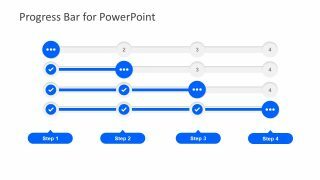 The multi-purpose Progress Bar Design PowerPoint Diagram is an incredible business management tool. The users can present sales targets and employee training goals which audience can quickly understand. Additionally, the two slides have progress bar with two styles of circular icons to describe the ongoing process. For instance, the small circle shape and three dotted circular icon to explain the status of every process. 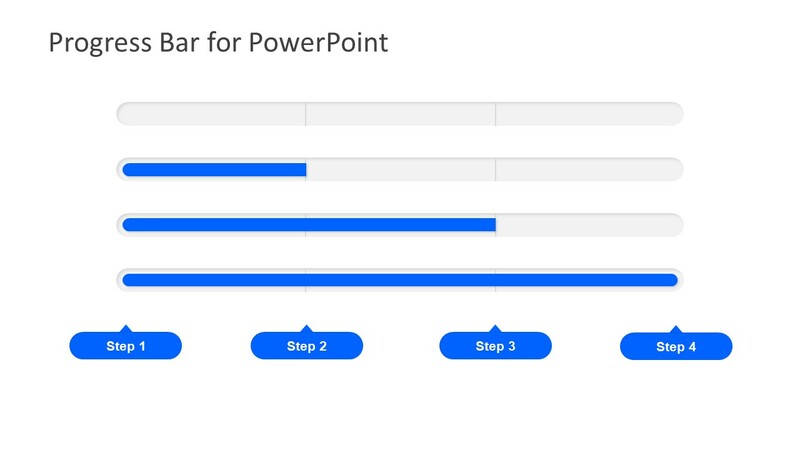 Similarly, the slide of one progress bar suggests the use of diagram as a timeline. Such as, copying each bar separately in individual slides and discuss every step in details. 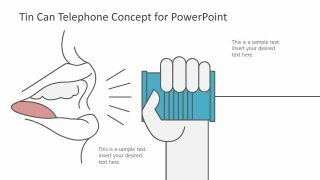 The template has number of customization options to make slides attractive and memorable. 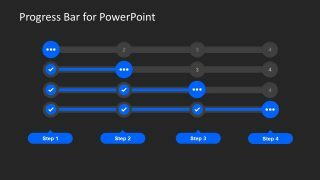 The PowerPoint diagram of Progress bar design is fully customizable template to show the completion of processes in business presentation. 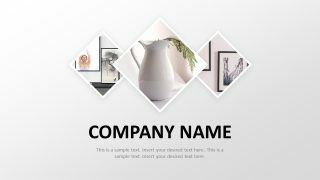 This process diagram template also has the background color design as an option. 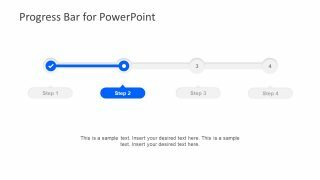 Therefore, the users can select and modify the background of PowerPoint according to the main presentation. 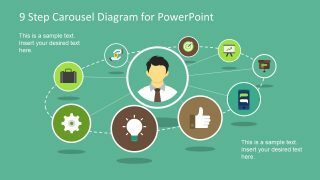 The SlideModel also has another creative green progress bar design for PowerPoint with placeholders inside circular icons.